Molly’s father, who grew up on the Mohawk Reserve of Akwesasne, always had the best scary stories. One of her favorites was the legend of Skeleton Man, a gruesome tale about a man with such insatiable hunger he ate his own flesh before devouring those around him. But ever since her parents mysteriously vanished, those spooky tales have started to feel all too real. 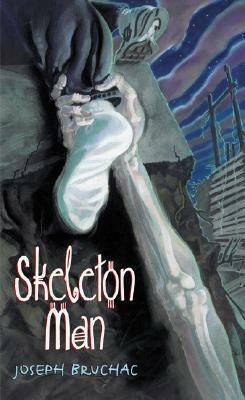 Don't miss The Legend of Skeleton Man: a spine-tingling collection of Skeleton Man and its sequel, The Return of Skeleton Man! Joseph Bruchac is the author of Skeleton Man, The Return of Skeleton Man, Bearwalker, The Dark Pond, and Whisper in the Dark, as well as numerous other critically acclaimed novels, poems, and stories, many drawing on his Abenaki heritage. Mr. Bruchac and his wife, Carol, live in upstate New York, in the same house where he was raised by his grandparents. You can visit him online at www.josephbruchac.com.